Syncs save games and settings. 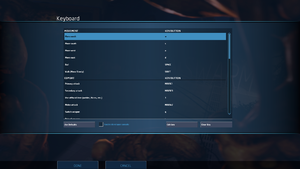 21:9 resolutions are selectable under the 16:9 resolution options. Position of HUD elements is incorrect. The cap can be changed with the "fps_max <number>" console command to any desired number +1, so 61 for a 60fps cap. XInput only; open the console and enter exec 360controller_pc. The 360controller_pc.cfg file under <path-to-game>\swarm\cfg\ needs to be modified. Open the console and enter exec 360controller_pc. For more information, see the "Source Dedicated Server" section of our Source engine article. CPU Overheating Issues: This threads walks you through running a simple stress test on your CPU to help you identify whether your cooling equipment is doing its job. 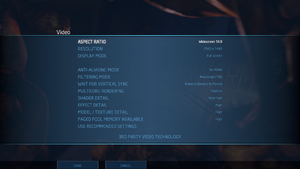 Fix for temp problems/crashing: This threads dictates how Vsync and multi-core rendering can be adjusted to eliminate problems relating to overheating and crasing. This tip can also increase performance. 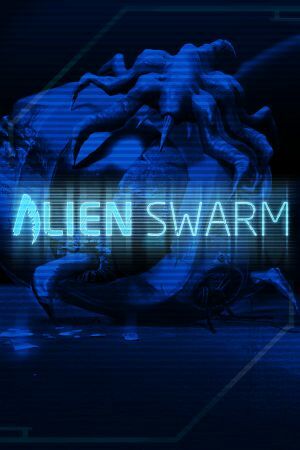 Swarm.exe has stopped working: If you're having problems with Swarm.exe crashing, this Steam Support thread may help you if the problem's related to Shaderapidx9.dll. You can check if Shaderapidx9.dll is the cause of the problem by following the instructions on this thread. Windows 7 Ping Spikes (Fix): This thread explains how to disable a network-throttling feature shipped with Windows 7. It's more likely to fix ping-related problems, but has been reported to improve frame rates. WLAN Optimizer: If you play over a wireless connection, you may occasionally experience 'lag spikes' due to Windows checking periodically for new wireless networks. 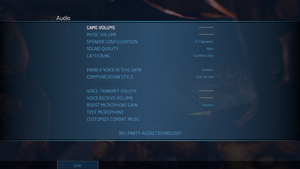 Using this program, you can disable the 'background scan' and improve your gaming wireless experience. Hosting? Do everyone you meet a BIG favor. PLEASE! : When people connect to your listen server, their client has a "rate" setting. By default it is set at 20,000 (bytes/second). If you're home internet cannot upload 60,000bytes/second (3 people connected) then you're going to have to set a sv_maxrate, to limit each player's rate so that everybody gets their own dedicated chunk of bandwidth, instead of their computers fighting for a piece. Press ~ to open the console. Many servers will not allow you to play with cheats enabled, or will disable them upon entering the server. ↑ File/folder structure within this directory reflects the path(s) listed for Windows and/or Steam game data (use Wine regedit to access Windows registry paths). Games with Steam Cloud support may store data in ~/.steam/steam/userdata/<user-id>/630/ in addition to or instead of this directory. The app ID (630) may differ in some cases. Treat backslashes as forward slashes. See the glossary page for details. This page was last edited on 10 April 2019, at 05:36.